If you're looking for a comfortable and chic Chicago boutique hotel, you've found just what you're after at the Inn of Chicago. With sleek, contemporary decor, a vibrant cocktail lounge, a scenic terrace and close proximity to the city's best attractions, this is the perfect option for young, trendy travellers looking for a cosmopolitan experience. 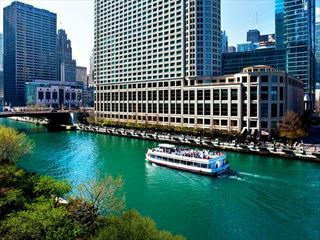 This boutique hotel is located in the heart of downtown Chicago, just half a block from the Magnificent Mile and a plethora of shops, restaurants and attractions. When you arrive at the Inn of Chicago, you'll be met immediately with the incredibly sophisticated and glamorous surroundings of our hotel lobby, the first of many lovely amenities our downtown Chicago hotel offers.